As teachers, we want to give students plenty of opportunities to perform higher level thinking. However, before they can create, evaluate, and analyze, they must first remember/know, comprehend, and apply basic knowledge. You must scaffold your lessons so that students go from basic knowledge to higher level critical thinking. This should be happening in each lesson and across a unit and school year. You always want to move around the circle in each lesson that you teach. 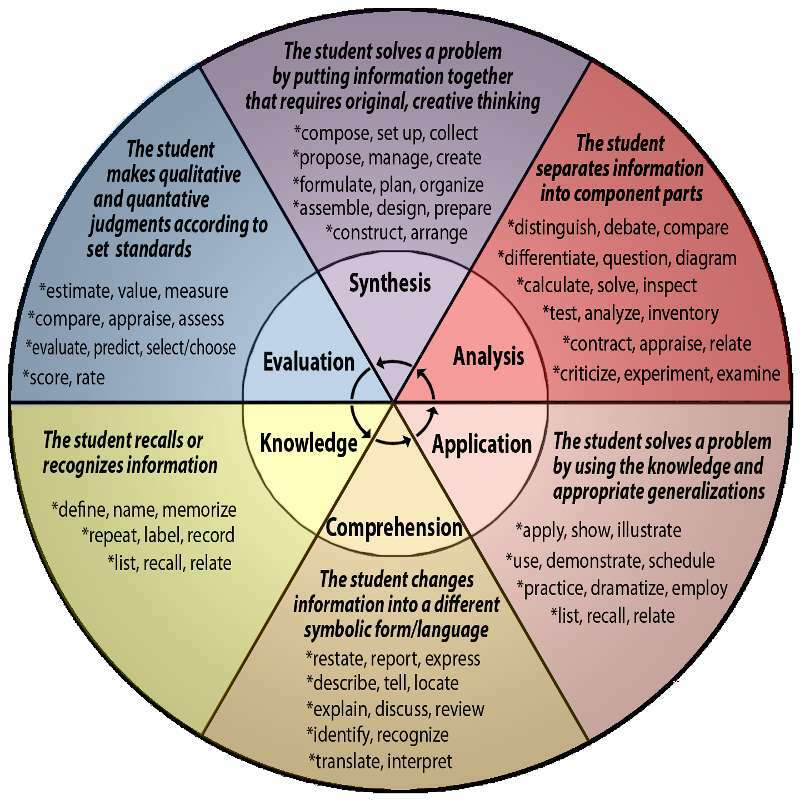 In order to move to higher level thinking tasks, you must first assess students' prior knowledge, identify prerequisite knowledge students' must know, provide that knowledge, and model how to take that knowledge and use it for a more complex purpose.